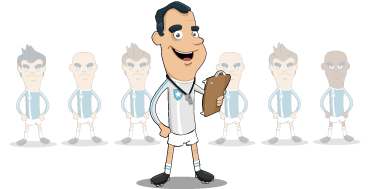 Teamer is an online group management system created and designed to take the hassle out of managing any sports team or club. Founded by a unique mix of internet professionals with extensive experience of club administration at both the competitive and social level, Teamer significantly decreases the amount of time it takes to get your club online and your team's on the field. Whether you’re a captain, a manager or a coach, Teamer will make your life easier. The application was born out of the experience of team leaders just like you. Why should getting a team on the field take dozens of phone calls and emails? With Teamer, you pick the players you want to notify, specify whether they should receive notification to the their email address and/or phone and send the game notice. As replies are received, your Teampage updates with real time response information letting you know where you stand for the upcoming game. You can even select replacements that will be automatically notified about the game if one of your team is unavailable. 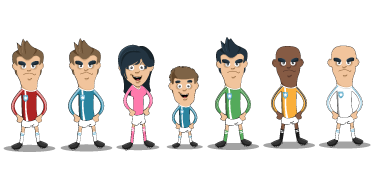 Keep your club members and fans up-to-date with your very own personalised website. Customise your colours, add your club crest, publish news articles and manage your club's calendar, plus much more.